Hair | To Lob Or Not To Lob? I've probably asked this question before but I go through phases of wanting to change my hair. Some days I really want to completely change it up and others I don't want to touch it at all. 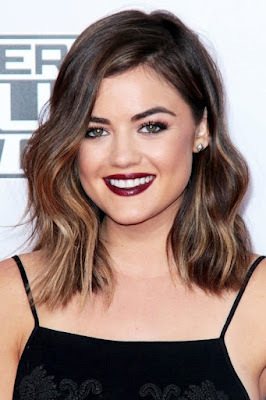 This week it's a "I want to cut it" week and the style I've been eyeing up is the Lob. 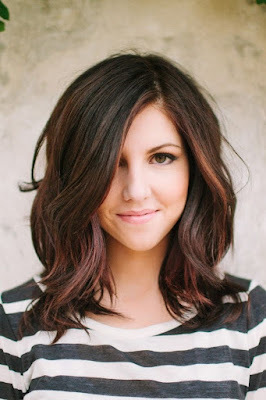 If you've been hiding under a rock and have no idea what the Lob is, it's basically a long bob. Granted that a few of these pictures below are actually are a Wob (wavy bob) but it's sort of the same! I have been a little crazy with the hair dye lately so I am thinking that no amount of hair treatment will be able to cure this so why not cut it all off?! My hair is naturally quite wavy so I'm hoping that not much effort will be needed to help style my Lob. Anyway I just thought I would ask for your opinions on whether I should go for it or not! What do you guys think?! I've taken the plunge and cut my hair about 2 weeks ago, so now it just sits on my collar bone. I absolutely love it because it takes little time to dry and I find that I can still style it how I used to. I'm exactly the same as you too, I always want to change my hair, so I've just gone blonde as well! Haha why not? do it! :D looks great on these girlies and it might suit you really nicely!